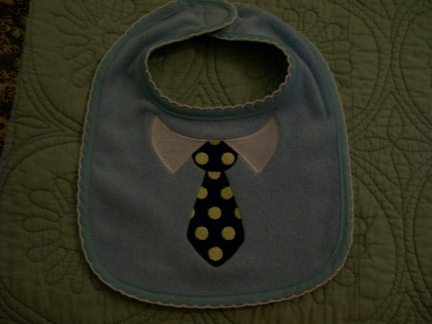 For the future corporate business leader, a tie is a must! How fun for Daddy's little Executive! Bib color may vary.